Summary: StopAfib.org, which co-chairs the Sign Against Stroke in Atrial Fibrillation Task Force, today launched patient empowerment materials to encourage people living with atrial fibrillation to participate in their care. In recognition of World Stroke Day, StopAfib.org, which co-chairs the Sign Against Stroke in Atrial Fibrillation Task Force, today launched global patient empowerment materials for people living with atrial fibrillation. The materials, which include infographic posters, downloadable PDFs, and videos, are available to view and download at StopAfib.org and SignAgainstStroke.com. Read more about these materials in today’s World Stroke Day press release. Dallas, October 29, 2015 – In recognition of World Stroke Day, the patient-focused organization StopAfib.org, which co-chairs the Sign Against Stroke in Atrial Fibrillation Task Force, today launched a diverse set of materials for engaging and empowering people living with atrial fibrillation (AF). Atrial fibrillation is an abnormal heart rhythm and a major risk factor for stroke. The materials are intended to increase the ability of patients to be engaged in their own treatment and stroke prevention decisions. The materials, which are available to view and download at StopAfib.org and SignAgainstStroke.com, are the result of a year-long initiative by a committee of the Sign Against Stroke (SAS) Task Force comprised of five patient and professional advocacy organizations to create materials to be used globally. The committee is chaired by US-based StopAfib.org. Committee members include Arrythmia Alliance Argentina (Argentina), Asian Pacific Society of Cardiology (Singapore), Associação Bate, Bate Coração (Portugal), and Fundacja Udaru Mózgu (Poland). The idea originated at a global summit where member groups noted that the socioeconomic and personal burdens of AF-related stroke are high and devastating to individuals, yet many patients do not understand what atrial fibrillation is, what their stroke risk actually is, and how they can prevent AF-related stroke. The task force also expressed a shared belief that many patients do not understand that it is their right to ask questions of their doctor and to participate in their treatment decisions based on the best available evidence. The task force agreed to address these concerns through the development of a set of educational materials that could be readily translated into other languages and adapted to different cultures. They started gathering input from regional patient group summits in late 2014. The materials consist of five downloadable documents, two infographics, and an animated video. About AF: Interpreting your diagnosis and treatment options. Lower Stroke Risks: Evidence and information to help people with AF make decisions to minimize stroke risk. Questions to ask about AF: Questions for patients to ask their health care providers and encourage a two-way dialogue. Getting the Best AF Care: Guidance on how patients can communicate with physicians and advocate for their own care. Help from Family and Friends: Ways family caregivers can provide support for loved ones. The video is three minutes long and features several messages about the dangers of AF and the importance of knowing your risks and developing a treatment plan with your doctor. The video can be made into eight mini videos of 20 to 30 seconds each for wider use and dissemination across a variety of channels. Each of the two infographic posters offers facts and figures designed to enhance awareness of AF and the resulting stroke risk. The materials are being launched globally in multiple languages. They will be shared at an upcoming patient group symposium in Warsaw, Poland in November, where as many as 50 organisations from throughout Europe will be provided the materials with tools to facilitate their translation and localization. As the most common irregular heartbeat, atrial fibrillation, also known as afib, occurs in an estimated 33.5 million people worldwide. People with AF are five times more likely to have a stroke than people without AF, and AF-related strokes are more deadly than other strokes. One-third of those who have the condition may not have symptoms. In addition, people over the age of 40 have a one in four chance of developing afib in their lifetime. Now the No. 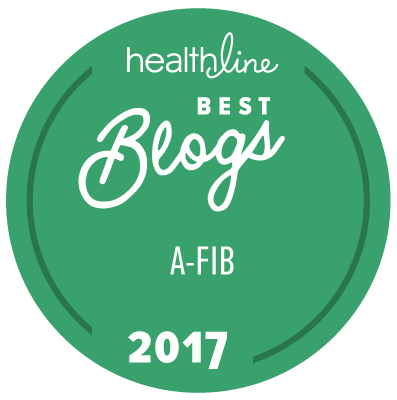 1 Arrhythmia site on the Internet and in the Top 5 Heart Disease sites, StopAfib.org has received the HON Code Seal from the Health on the Net Foundation, signifying a credible, trustworthy medical web site. StopAfib.org CEO and founder, Mellanie True Hills, CSP, is the author of A Woman’s Guide to Saving Her Own Life and has been featured in the NY Times, Washington Post, USA Weekend, and in Heart-Healthy Living, More, and Success magazines. Mellanie True Hills at 940-466-9898 or www.stopafib.org/contact.cfm.